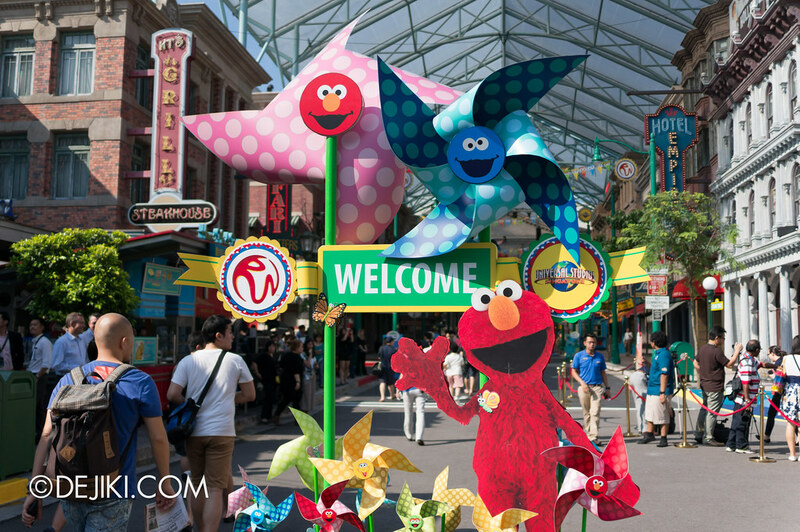 Sesame Street Spaghetti Space Chase is now officially open at Universal Studios Singapore, Resorts World at Sentosa. 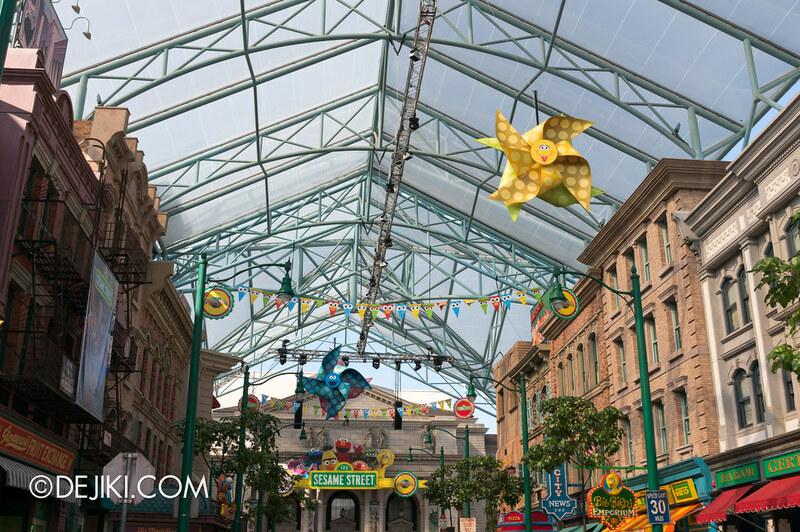 With a light-hearted and silly storyline about missing spaghetti, this indoor dark ride brings guests on a space adventure to recover stolen pasta. 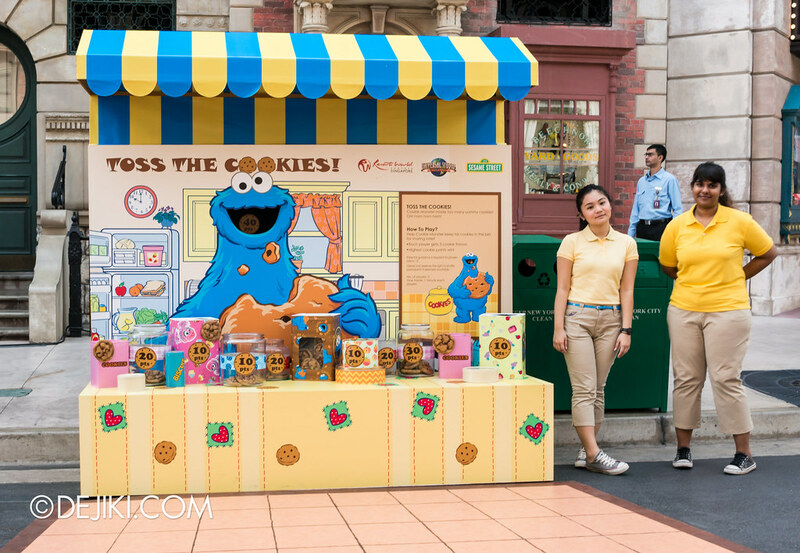 To celebrate the grand opening of this new family-oriented attraction, Universal Studios Singapore is organizing a Sesame Street Carnival for the ride’s opening weekend (March 1st 2013 ~ March 3rd 2013). 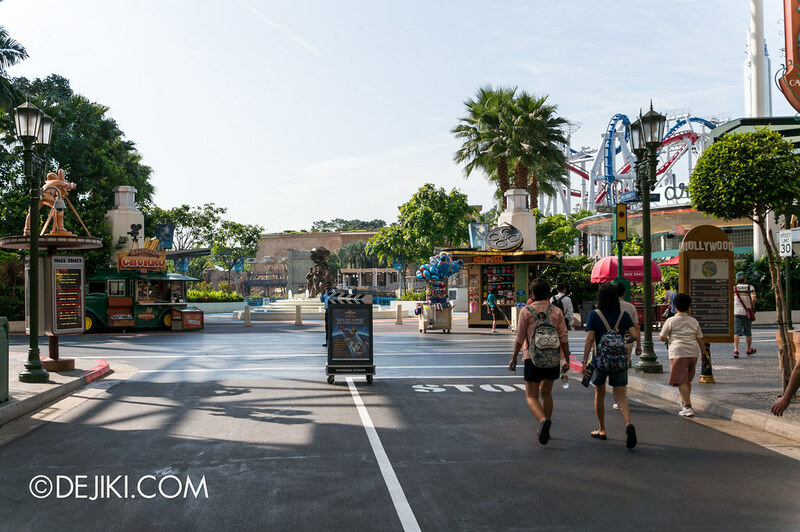 I’ve already published a very in-depth ride review and information treasure trove about the ride two weeks ago. Be sure to read it! 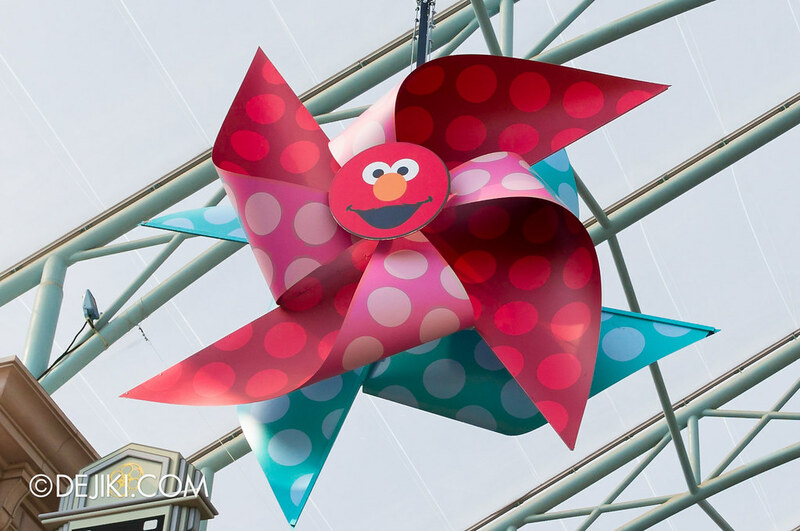 As several readers wrote to me requesting for a trip report and photos of the Grand Opening and Sesame Street Carnival, I made a special trip to the park. Enjoy the photos! 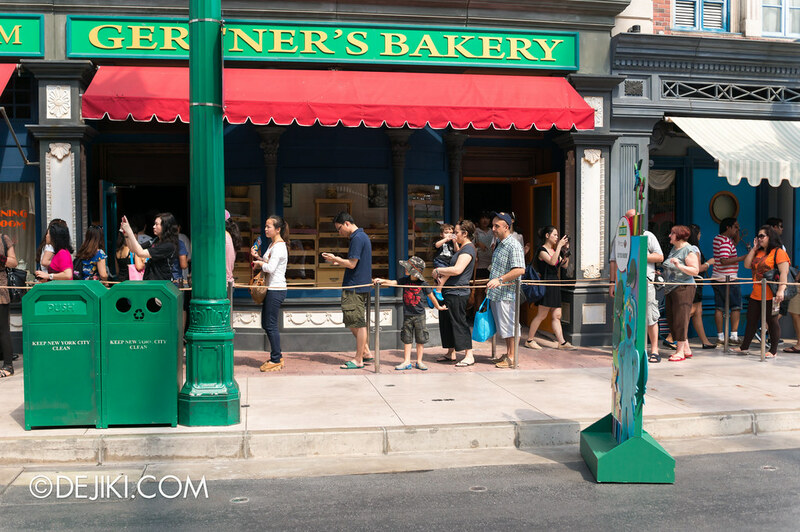 Park turnstiles were open 5 minutes before 10AM. The ride has yet to open though, as the opening ceremony started at 10:10AM. 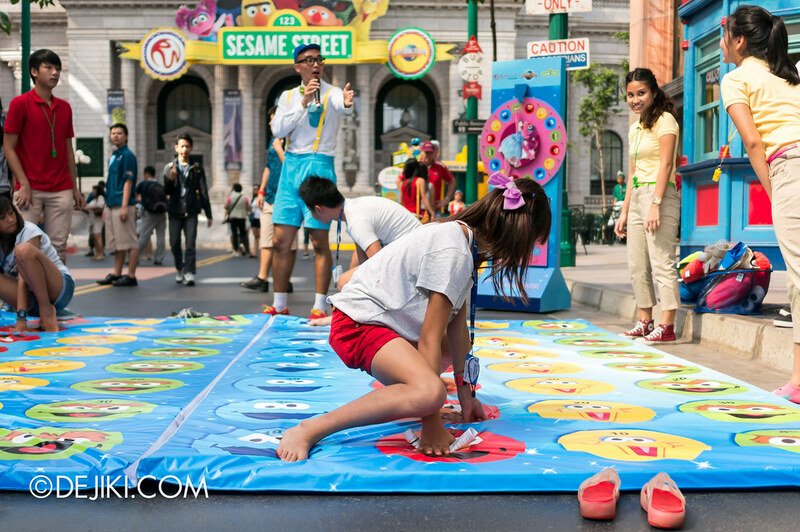 Of course, I went around and took photos of the Sesame Street Carnival at New York zone. You can find coverage on the Opening Ceremony in the later half of this article. My thoughts? The decorations are lovely, but they are placed way too high for children to appreciate. 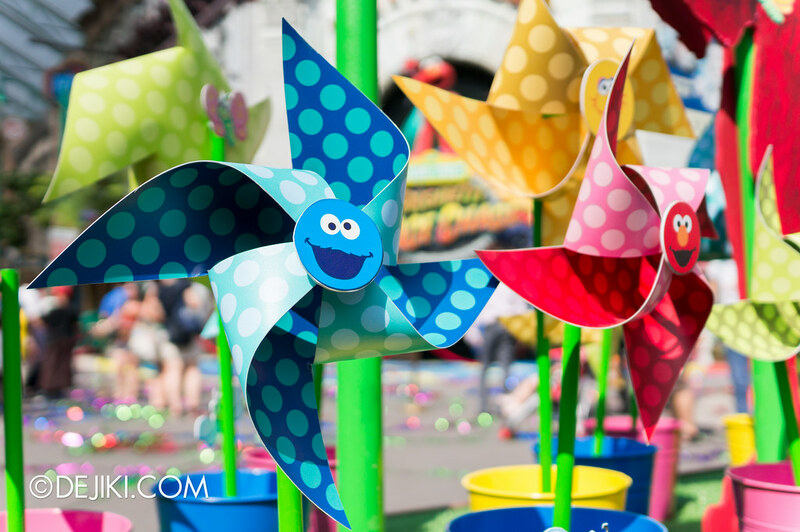 I understand that they couldn’t have the pinwheels lower (for safety reasons) but the buntings could be placed lower and still have enough clearance for Hollywood Dreams Parade over the weekend. How to spice up the classic and clean look of the New York Library? 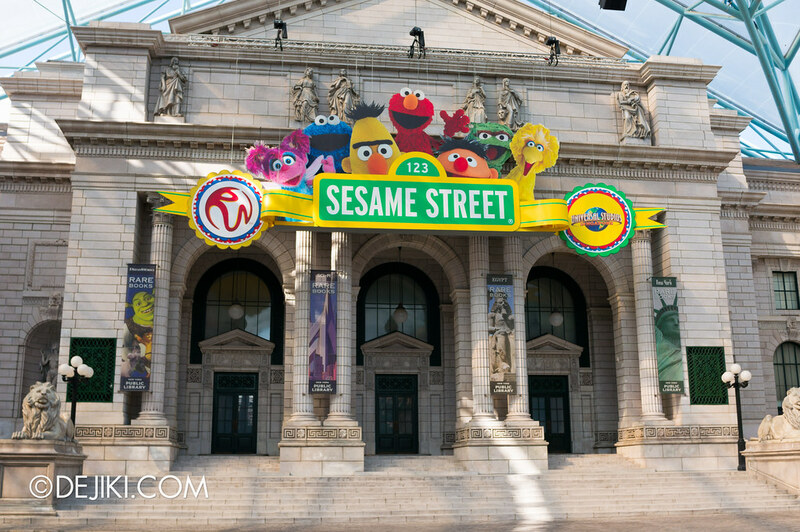 A jumbo Sesame Street sign. It’s not a carnival without (unfortunately overpriced!) 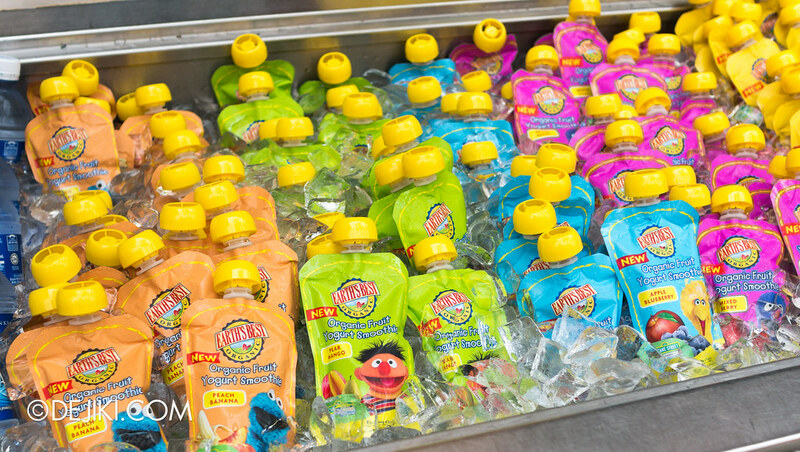 snacks. 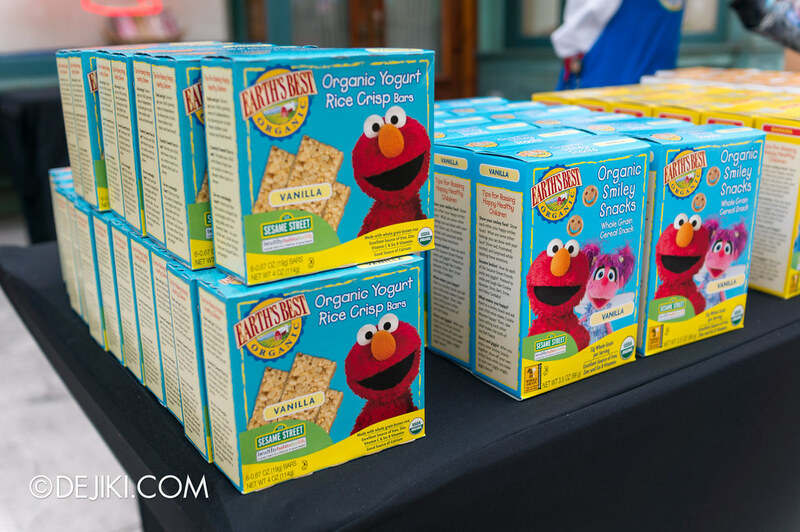 Lots of snacks here for children (and well, the young-at-heart). 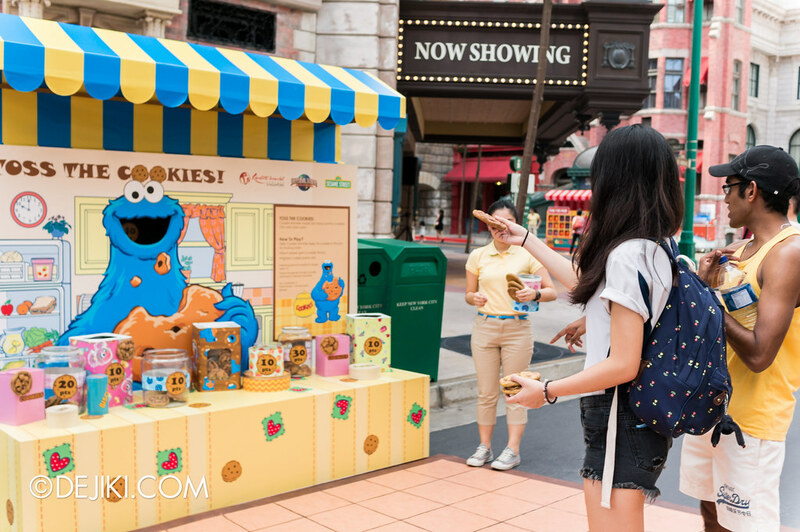 The cheapest snack available are small cookies (variety of flavours) for $2.80 each. Now let’s take a look at the game stations. *For game hours on 2nd and 3rd March 2013, please check the park time guide when at the park. Also, I’m not sure if all games offer prizes for winners. Just have fun and don’t be so concerned about getting freebies! 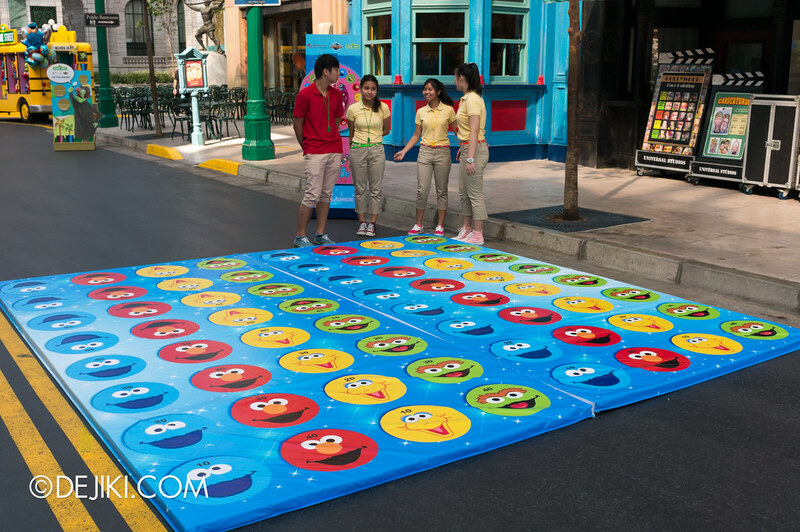 This is Twister (even the choice of colours are similar) with Sesame Street characters on the mat. 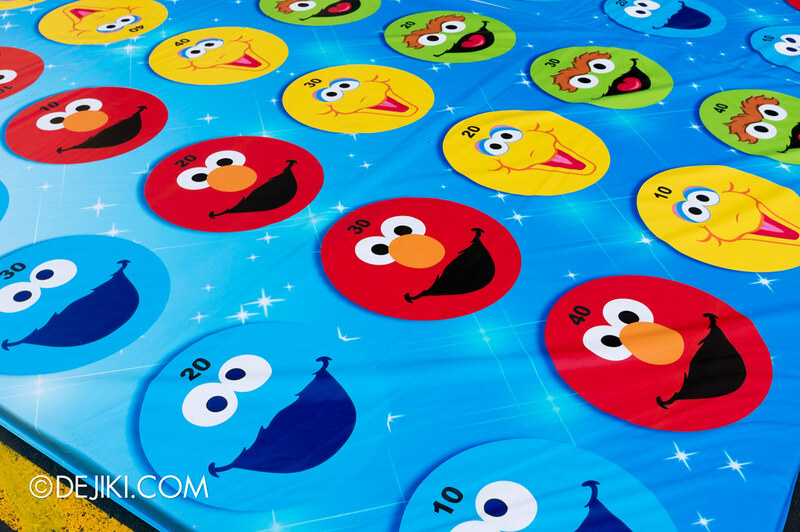 The winner gets a Sesame Street character cushion. If you are very flexible and have a strong core (or actually a gymnast), by all means – try and win! The cushions are sold at the park at $29.90 each. Similar to the usual ball/ring toss game in carnivals. 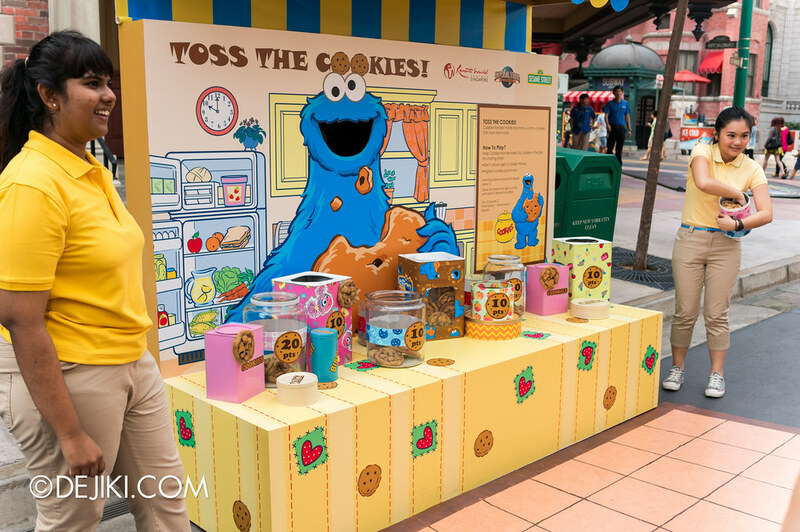 Each player gets three cookies to toss. 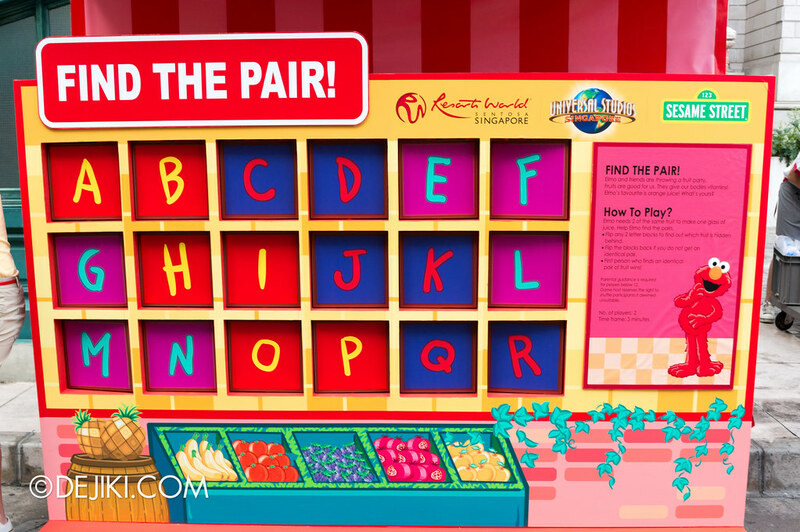 This is basically a memory game where players flip letter blocks to find a matching pair of fruits. 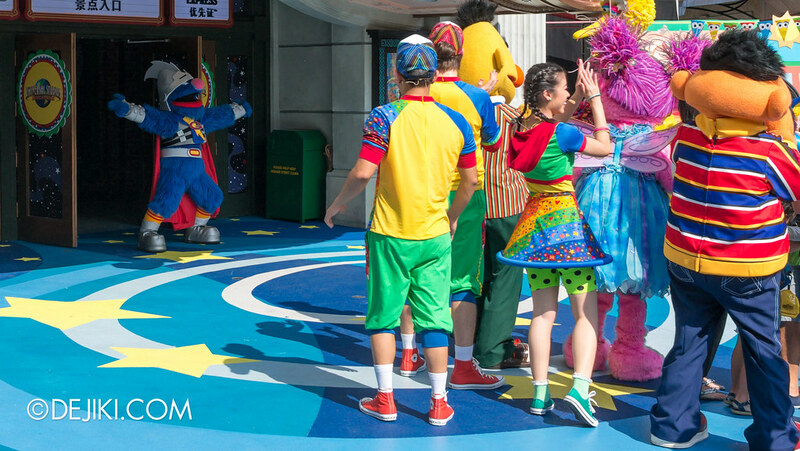 The Grand Opening was held at the ride entrance. It was very sunny (and hot!) so I’m glad the programme was kept very simple and short. 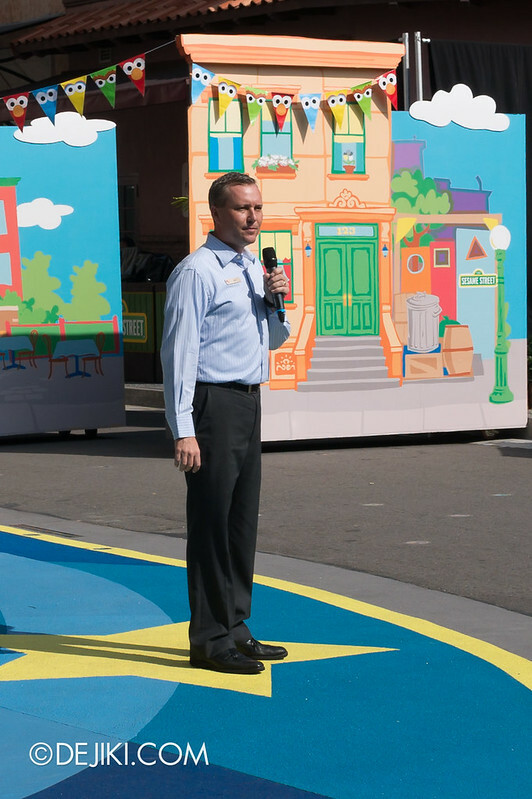 John Hallenbeck gave a short speech about the ride and the park’s partnership with Sesame Workshop. 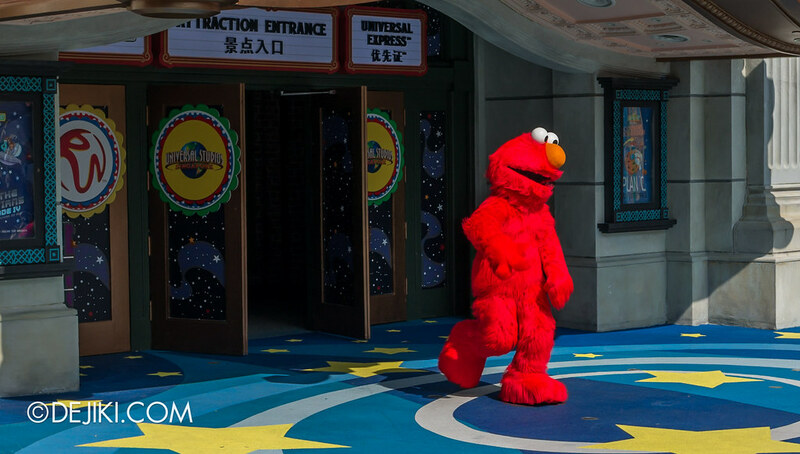 Elmo walks out of the ride entrance. 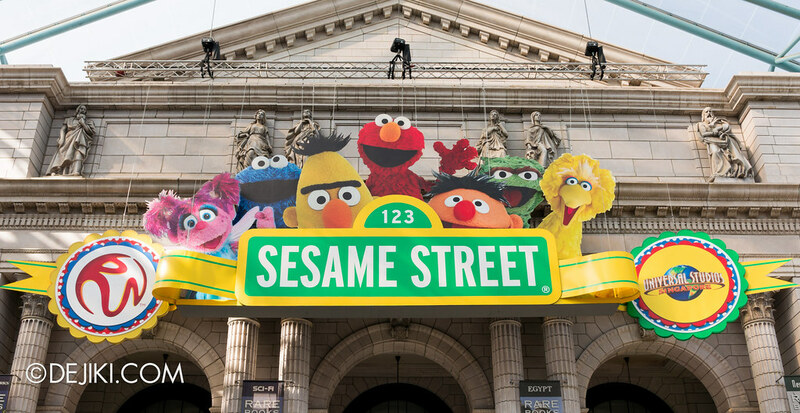 And all his friends from Sesame street are here to celebrate! 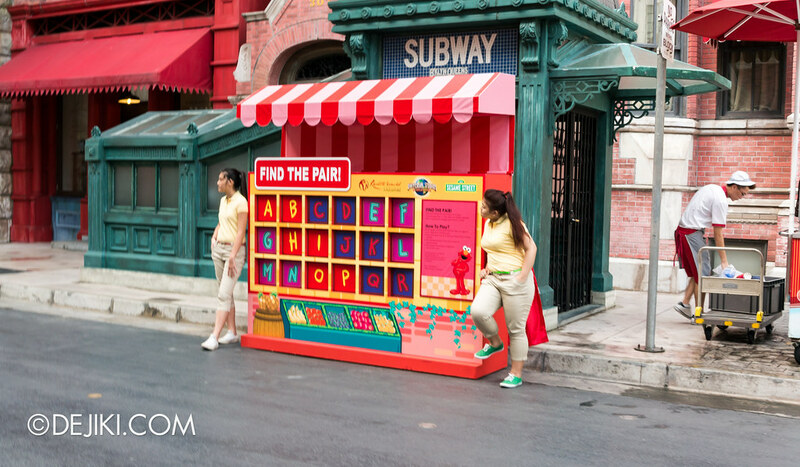 At the end of the performance, two “chefs” holding a giant strand of spaghetti arrive at the ride entrance. 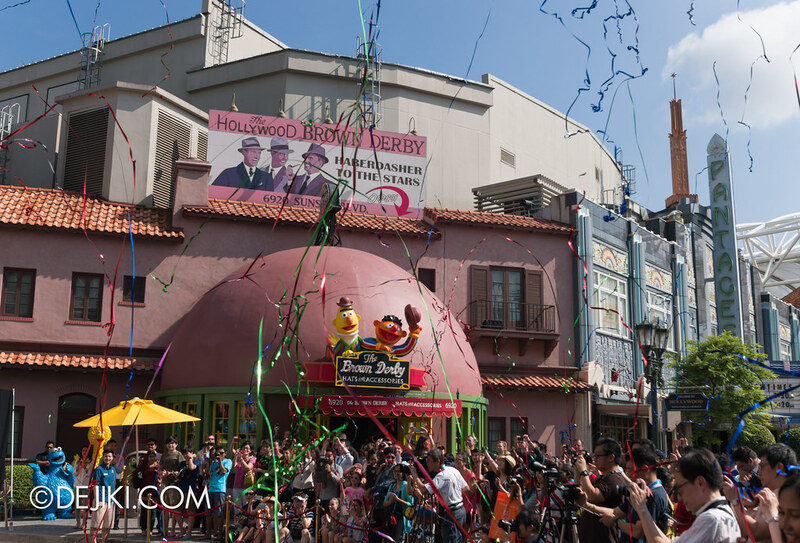 This is the typical ceremonial ribbon cutting with a twist, because… Suddenly, there were some loud noises and pyrotechnics going off. 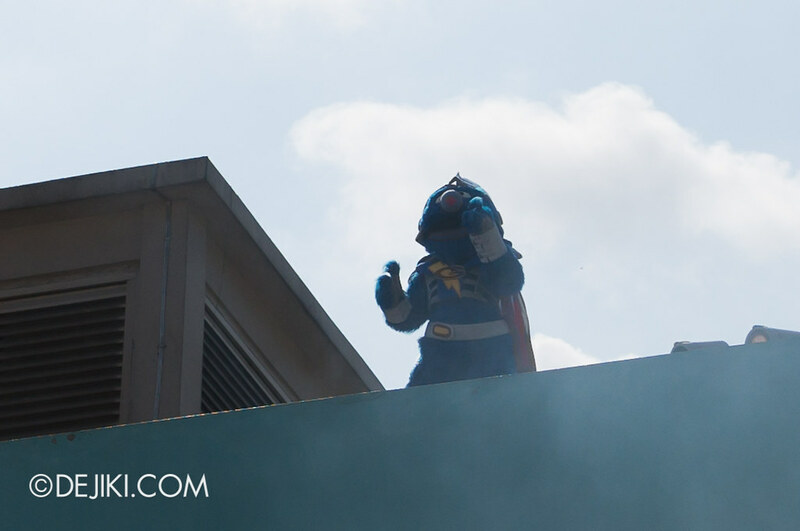 Super Grover “crashes” into the opening ceremony, landing right above Mel’s Drive-In. 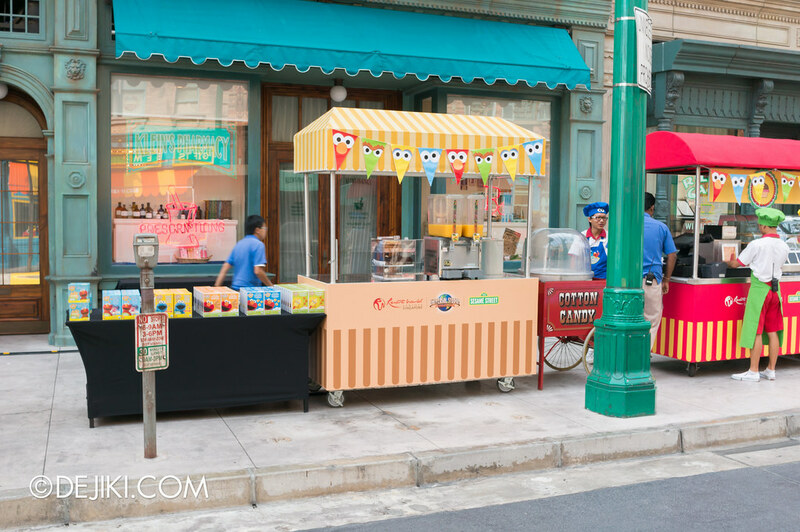 And he quickly re-appears, walking out of the ride entrance. The ceremony ends off with a burst of colourful streamers from the ride’s marquee. I went on the ride the moment it was fully open to park guests. 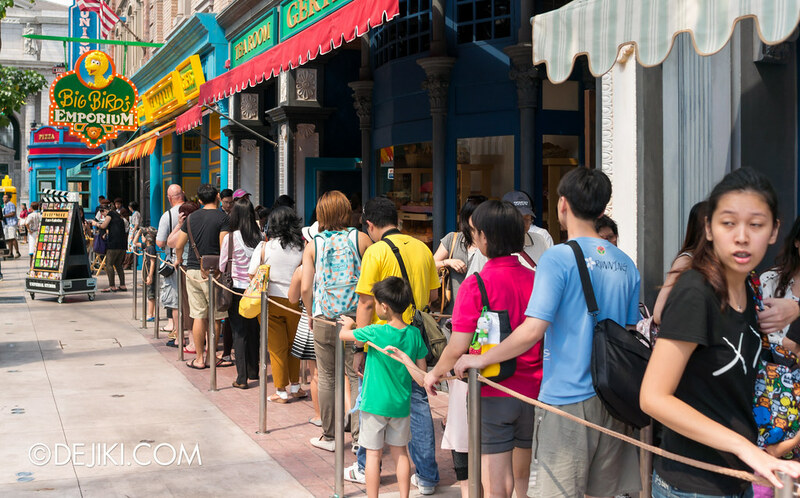 The line was moving briskly and the ride system was operating smoothly. 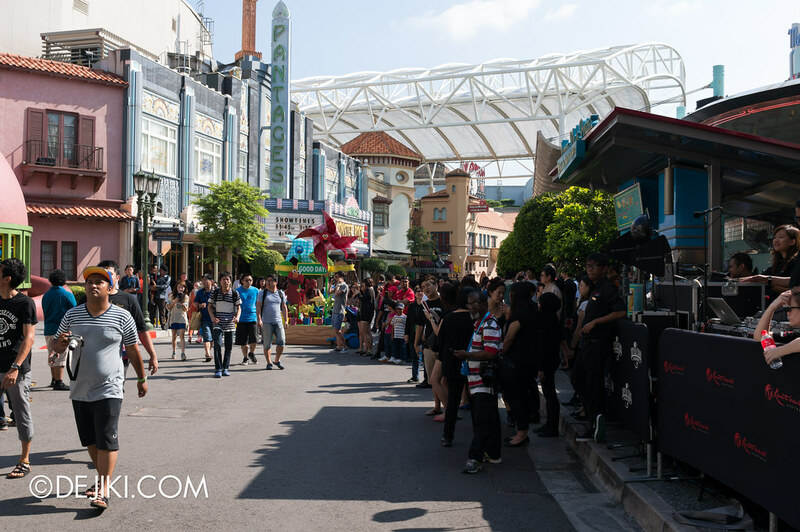 However, some animated character figures were not, and those malfunctioning figures were stuck in a certain position. Also, the dramatic fog effect, at the scene where ride vehicles fly into space, has been noticeably reduced. My very in-depth ride review can be found here, which I have updated with new photos. 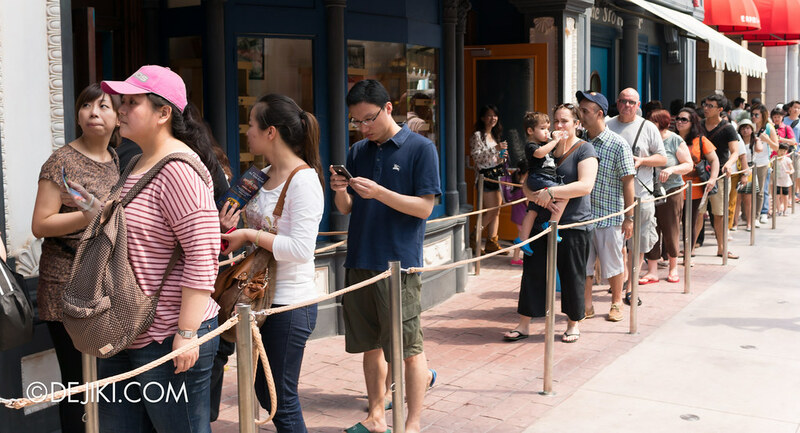 From within the ride building, the queue breaks out of a store facade door (right) and forms parallel lines, before re-entering another door (left), connecting back indoors. 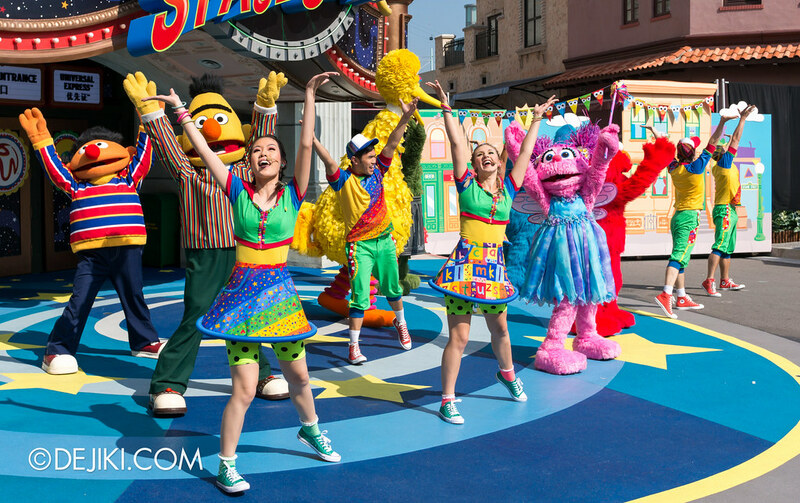 And it’s a wrap for this extensive photo report of Sesame Street Carnival and Sesame Street Spaghetti Space Chase’s opening ceremony! 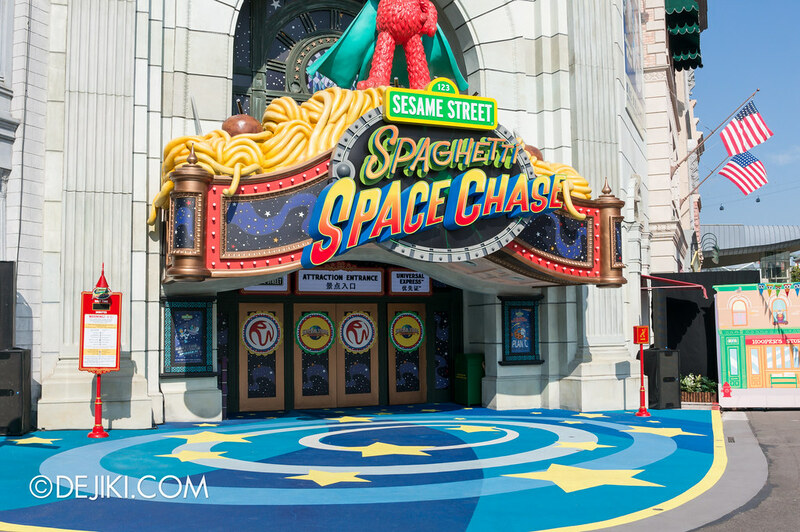 Head to my comprehensive ride review/info page for more information on Sesame Street Spaghetti Space Chase! If you have been on Spaghetti Space Chase, I would like to hear your own review of the ride – Please, feel free to post your comments in that entry. Too bad that I could not be there for the grand opening.